Sarah Achilles – Jarman International K.K. Favorite Thing About Living in Japan: The constant stimulation and opportunities provided by an ever-changing big-city environment and diverse Japanese and international community. Favorite Place to Visit in Japan: Kansai, in particular, Kyoto. 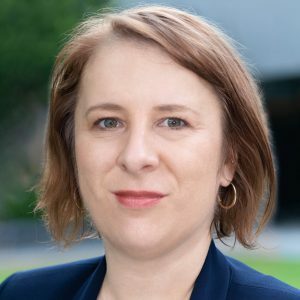 BIO: Born and raised in Christchurch, New Zealand, Sarah has lived and worked in Japan for a total of 20 years in Osaka, Nagano, Yokohama and now Tokyo. She currently works at a leading global management consulting firm as an in-house translator and editor, with previous experience in international relations, global PR and community event planning. Sarah also runs her own sole proprietorship where she supports small businesses in the tourism and hospitality industry, among others with their global communication needs including website translation. stories, skills, and authentic dialogue. She is also a member of Australia and New Zealand Chamber of Commerce in Japan and Japan Association of Translators. In her spare time, Sarah can be found traveling around Japan, exploring Tokyo’s restaurant scene, markets, and neighborhoods, learning about (and eating) all types of Japanese food and sake.